MPAA Rating: PG-13 for thematic material including frightening sequences of threat with some violence, and brief language. Running time: 103 minutes. Released by Paramount Pictures. Focusing on what seems to be two young people suddenly imprisoned against their will by a forbidding man and ending in an ethereal flash of light coming from behind a farmhouse, the trailer started everyone talking. Was this going to be the further adventures of the monster which destroyed New York City, as it runs roughshod over the world? Is this what our country has resorted to in the wake of the events surrounding Cloverfield? Then word came from Abrams himself: 10 Cloverfield Lane is a “blood relative” of the original film, not a direct sequel. After viewing 10 Cloverfield Lane, Abrams’ statement would be more like saying mozzarella cheese is the same as brie. Structurally, they’re alike and they’ve got similar backgrounds, but the end result is completely different. However, even hearing the name “Cloverfield” associated with this movie is undoubtedly going to keep the original film in mind when watching 10 Cloverfield Lane, so you’re constantly waiting for the big, bad monster shoe to drop, which I think is part of the experience of this thrilling psychological assault of a movie. The movie’s title instinctively puts you on edge as the film’s silent opening begins, where you see Michelle (Mary Elizabeth Winstead) packing things in a hurry and tearfully speaking on the phone to an unnamed person. It’s entirely overlaid with Bear McCreary’s oft-overwrought score, making the most of Michelle’s hasty exit from her apartment, so automatically we’re thinking she’s leaving due to the attacks in NYC (we do see a bridge nearby reminiscent of one of the many found in New York City). But no… she lays down her keys and an engagement ring, steps out the door, and is seen driving through a very non-New York countryside. Having left the apartment, she’s soon contacted by her now-ex-fiancé Ben (Abrams alum Bradley Cooper in a low-key voice cameo), on whom she hangs up before getting into a sense-jarring, eardrum-rattling car crash which leaves her in her overturned vehicle. Winstead doesn’t speak a word in the first seven or ten minutes of this movie until past the opening titles, and she doesn’t have to. 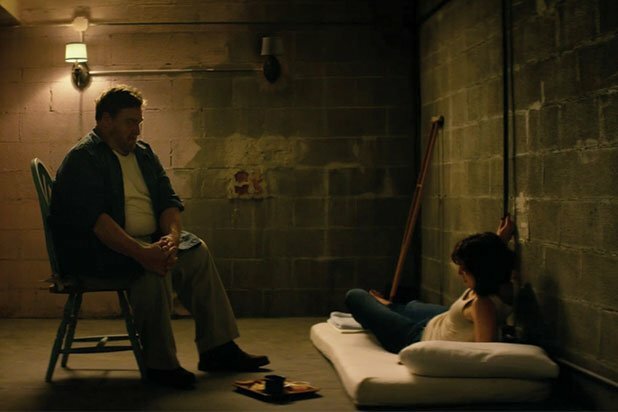 This little bit of plot development and others like it are 10 Cloverfield Lane’s greatest strengths, as you’re not worn down with heavy exposition and maddening character arcs; they give us enough about each character to sink ourselves into them without having to resort to needless dialogue. As she wakes up chained to a pipe in an underground bunker, we meet her savior (or is it her captor?) Howard Stambler (John Goodman) and Emmet (John Gallagher, Jr.), a young man who’s apparently bought into Howard’s story about the three of them being the only survivors of a nuclear or WMD attack. “He’s a black belt in conspiracy theories,” Emmet says of Howard, who has allowed Emmet to stay in his bunker.. but there’s something Howard’s not telling them. Eventually, mysteries unravel and the horrible truth about who or what’s outside the bunker is revealed… or is it? 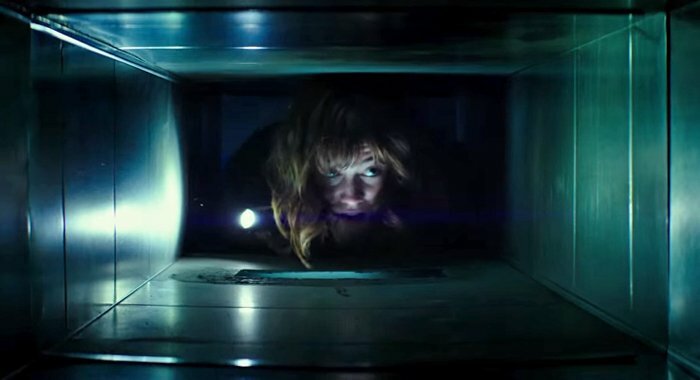 Whereas Cloverfield was shot from a single person’s point of view with the oft-nauseating shakycam, 10 Cloverfield Lane takes a more traditional camerawork approach to manage its suspense. 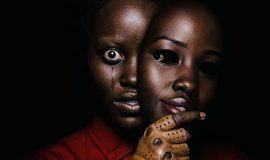 The script by writers Josh Campbell, Matt Stuecken, and Damien Chazelle shows smarts, restraint, and a whole lot of tension building, which gives way to genuine shocks and surprises. 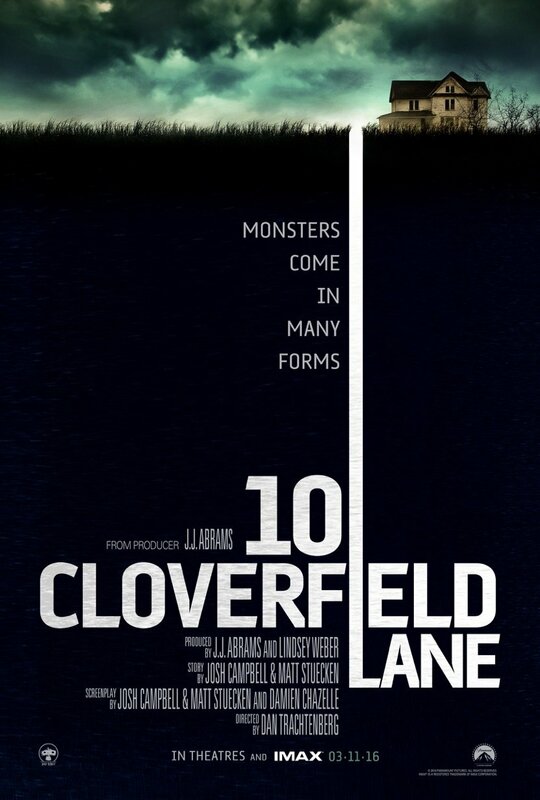 While they say 10 Cloverfield Lane is a “blood relative” of its original, we can see their script doesn’t have to have an otherworldly monster to hold us captive and threaten our lives; it’s the monster who’s hiding in plain sight, as one of us. Is what Howard’s doing a result of right-wing scare tactics, or is he genuinely trying to do something good? The movie plays with perception, doubt, and mistrust as Howard molds Michelle and Emmet into his ersatz family. But it’s Dan Trachtenberg’s taut direction which leads to solid performances by the three leads, which ultimately leads to a fantastic 103 minutes of cinematic anxiety. In a very surprising directorial debut,Trachtenberg doesn’t allow the pace to falter, leading us from scene to scene with a vigorous pulse and very little stagnancy. 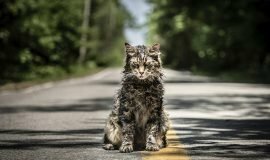 There are no “rookie mistakes” or “growing pains” of a first-time director here; instead, this is a movie that could have failed in the hands of even the most experienced director. Trachtenberg plies us with teeth-grinding unrest, with little relief or few spots where the audience can relax. We are, in fact, given exactly one chance to breathe in this film during a little bit of a planned lull, a kind of lull which makes me think of the sequence set to Richard Cheese’s swing band cover of “Down With the Sickness” from Zack Snyder’s 2004 Dawn of the Dead remake. It’s a scene where Michelle and Emmet are settling into their new existence with Howard – consider it a welcome, funny respite from the slam-bang tension ratcheting on either side of these five minutes. John Gallagher, Jr. provides memorable comic relief during this scene and in spots during the rest of the movie, being a lot more than the simple redneck we might think he is. Of course, grounding the film is the sensible Michelle, whom Mary Elizabeth Winstead gives a ton of guts and moxie. She’s always a joy to watch in any film; this is no different, as she acts as our guide through life in the bunker, which is surprisingly labyrinthine for such a small structure. Through her eyes, we see the world turned on its ear and how she finds her way of dealing with it. She plays Michelle as not entirely innocent, yet not dirty or backhanded; she also gives Michelle strength and a strong will, more than enough to get her through this ordeal and anything else thrown at her. The rest of the film belongs to the menacing Howard Stambler, played so creepily well by John Goodman. Aside from his role in the TV show “Roseanne,” I’m willing to bet most people remember him as the lovable idiot Walter from The Big Lebowski, but they’ll also forget he played another man with a secret, Charlie Meadows, in Barton Fink. It’s this version of Goodman that shows up in 10 Cloverfield Lane, a man not just large in stature, but in presence and feeling. He makes Stambler permeate the entire film, committing entirely to his character and leaving a memorable performance of a man who wants so badly to be in control despite decidedly having no control at all. 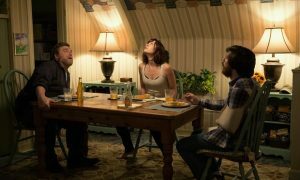 10 Cloverfield Lane may have had a lot of things working against it. For all intents and purposes, it’s what’s known as a “bottle episode,” which means the bulk of the film takes place in a single location. There was zero hype for the film more than two months before its release. 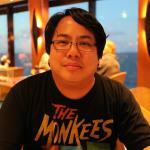 This is Dan Trachtenberg’s first film, a feat most usually save for lower-profile pictures. It features unlikely, unconventional stars; true, Goodman and Winstead have been in their share of noticeable films (and Winstead has already been a Final Girl in Final Destination 3), but neither one has headlined or carried a film like this, and I don’t think I’ve even heard of John Gallagher, Jr. However, the film’s surprise appearance on the radar so shortly before its release created an excitement which the movie doesn’t fail. 10 Cloverfield Lane has a lot of suspense and tension, supported so very well by its three leads and executed with director Trachtenberg’s intent on putting us through the wringer and not even letting go of us until his director’s credit slams onto the screen.